You can package your notebook as .onepkg file or zip archive. See more details below. Option1: Save your notebook as .onepkg file. 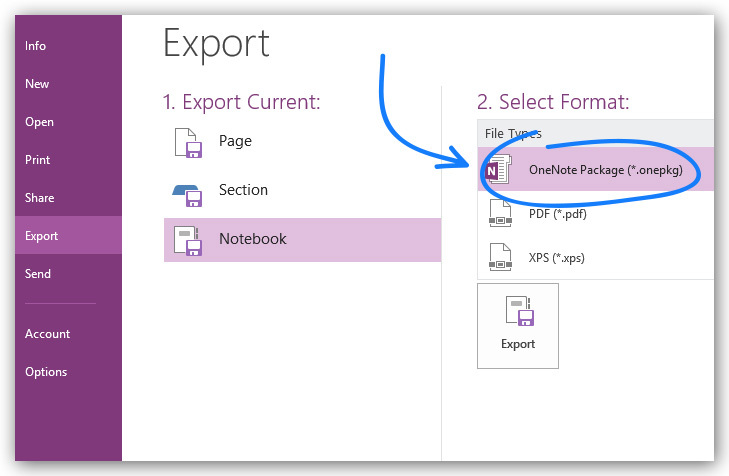 To do this, choose a notebook you want to package, go to File -> Export, then select to save entire notebook as .onepkg file. Option2: Local notebooks can be packaged as a zip archive. 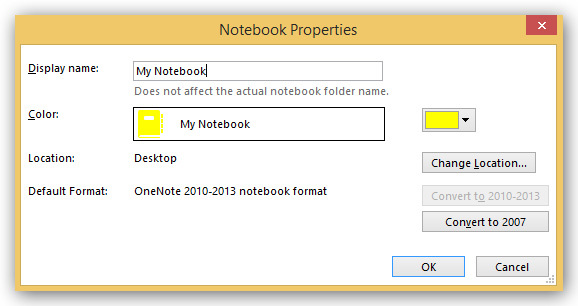 To find out where your notebook is located, right click on a notebook in Notebooks view in OneNote and Select Properties. After that archive your notebook in zip format, using any accessible archiving utility. this notebook's location folder > Properties. Or right-click on the notebook's cover > Show in Finder. 2. ​Reach this notebook's folder and compress it. Apps > File Sharing. Find Outline here. 4. Click Add... to upload your notebook's .zip archive. 5. Open the notebook in your iPad Outline by tapping "+" Open from > iTunes.